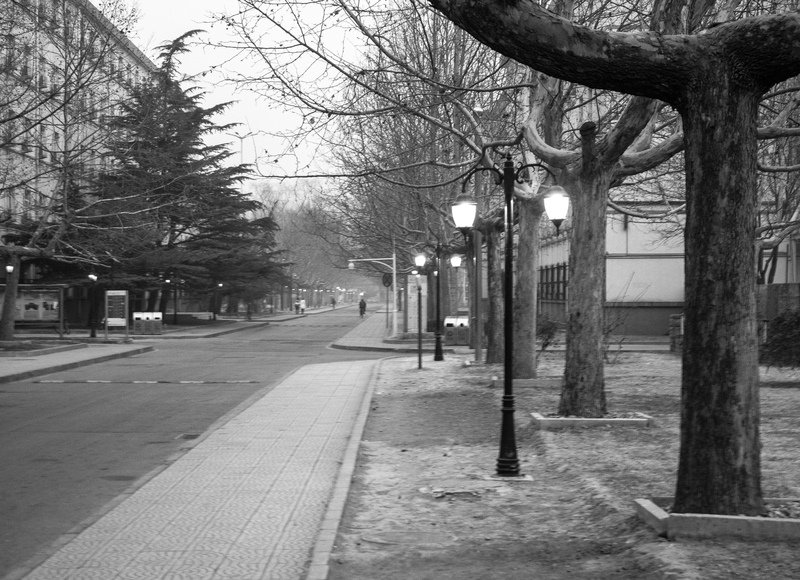 This is one of the main streets at the massive campus of the University of International Business and Economics. During the academic year, this street is teaming with students. Like San Francisco during Sueprbowl–no one to be found. like something out of twilight zone with no one there… nice shot with the vertical lines and the perspective down the road. Thanks. The city does take on a totally different perspective during the break.